Marc Freeman lauds the transgender neurobiologist's posthumously published memoir. Marc Freeman is a neuroscientist and director of the Vollum Institute at Oregon Health and Science University in Portland. An unstoppable force of nature, unfazed by headwinds, managing to will all of us onwards and upwards: this was Ben Barres. A highly influential neurobiologist and advocate for women in science, Barres lived an unusually interesting life. 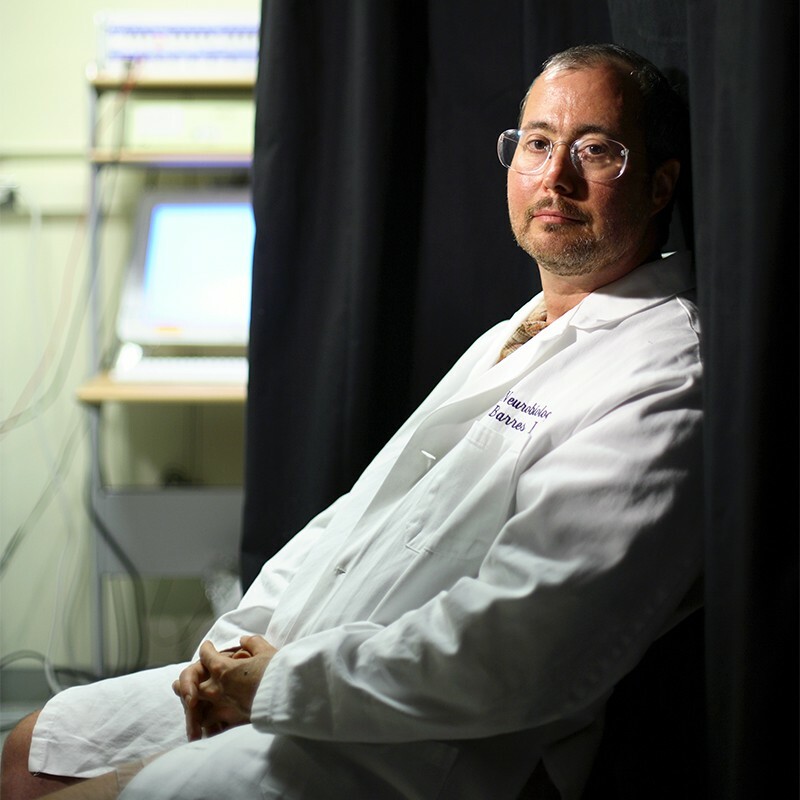 He was an openly transgender faculty member at Stanford University School of Medicine in California, and a pioneer in understanding the functions of glia — the most abundant and mysterious cells in the brain. Whether by design or accident, along the way he also became a hero for people from gender and sexual minorities (LGBT+ people), and for early-career scientists generally. In 2017, Barres died of cancer at the age of 63. His posthumously published memoir, The Autobiography of a Transgender Scientist, documents his remarkable life story. Born Barbara Barres in mid-1950s New Jersey, Barres was a precocious, science-loving child who relentlessly pursued academic opportunities. But from an early age, he never felt comfortable being treated as female. As he writes: “internally I felt strongly that I was a boy. This was evident in everything about my behavior.” Although educated and trained at a time when sexism was rampant in schools and academia, his talent, self-confidence and drive propelled him swiftly upwards. He entered top-notch medical and science training programmes, from undergraduate study at the Massachusetts Institute of Technology in Cambridge to a medical degree at Dartmouth College in Hanover, New Hampshire, a doctorate at Harvard University in Cambridge and a postdoctoral position at University College London (see A. D. Huberman Nature 553, 282; 2018). Barres admits that during his academic career as Barbara, especially early on, he did not even consider the idea that gender would be used to assess anyone’s qualifications or limit their opportunities. When a professor accused Barres of enlisting a boyfriend to complete a difficult problem (because he assumed a woman couldn’t have done it), Barres was incensed — but mainly about the accusation of cheating. After he transitioned in 1997 and began to live as a man, he came to understand this and other episodes as personal experiences of pervasive sexism. An advocate was born. Barres’ promotion of women in science is well known, and he recounts some of his efforts in the book. In an essay in Nature, ‘Does gender matter?’ (B. Barres Nature 442, 133–136; 2006), he helped to debunk the idea of intrinsic gender differences in scientific ability. Barres worked relentlessly to improve the representation of women in all areas of science: as faculty members and conference or departmental seminar presenters, and in leadership positions. To support that aim, he volunteered for countless selection committees, editorial boards and grant-reviewing panels, and spoke up. He would be combative if needed — and that was fun to watch. The effect he had was impressive and inspiring. More recently, Barres became a vocal advocate for trainees. He describes in glowing terms how grateful he was to his own mentors — David Corey and Linda Chun at Harvard, and Martin Raff at University College London — and the powerful impact of their approach to science on his professional growth. He describes his joy in mentoring young scientists, and the thrill of watching them succeed; he saw mentoring as a sacred duty. His reflections on the importance of picking a good mentor and how we should treat postdoctoral fellows should be required reading for all academics. An appendix lists his trainees, an impressive group including many leaders in their fields. These people were Barres’ family. Barres was best known for his work on glial cells, and he describes his lab’s major scientific contributions, including his surprising discovery that these cells release factors that help make synaptic connections between neurons. Just as in conversation, Barres’ enthusiasm for the science and the people doing it leaps out, and the details of many key discoveries come fast and furiously. Barres was a leader in boosting the status of glia from boring support cells for neurons to essential nervous-system cells that interact with neurons dynamically to help modulate their growth, connectivity, function, plasticity and health. His lab helped to launch a now-thriving field. It is touching to read Barres’ account of the emotional pain he experienced because of his gender discordance. He grappled with this issue at a time when — just as some still do today — certain sectors of society struggled to talk about homosexuality, never mind issues of gender identity. Before he transitioned, he writes, there were moments when he considered killing himself, a situation that is alarmingly common among people with gender dysphoria. He felt he was faced with the choice of his career or his personal happiness. Science is hard enough to begin with; I can’t imagine also having these sorts of life pressures. Fortunately, he had wonderfully supportive colleagues and friends across the scientific community. Because of his own past pain, Barres felt he owed it to the LGBT+ community to discuss his life openly and emphasize how transitioning had brought him relief and happiness. Barres is as open in memoir as he was in life, and the book teaches important, deceptively simple lessons. Be yourself; be happy; don’t apologize for who you are. Be respectful, but be honest and express your opinion even (or especially) if it’s not popular. Science is exhilarating, and we have a responsibility to do it well, with fairness to all involved. The Autobiography of a Transgender Scientist shows the way.